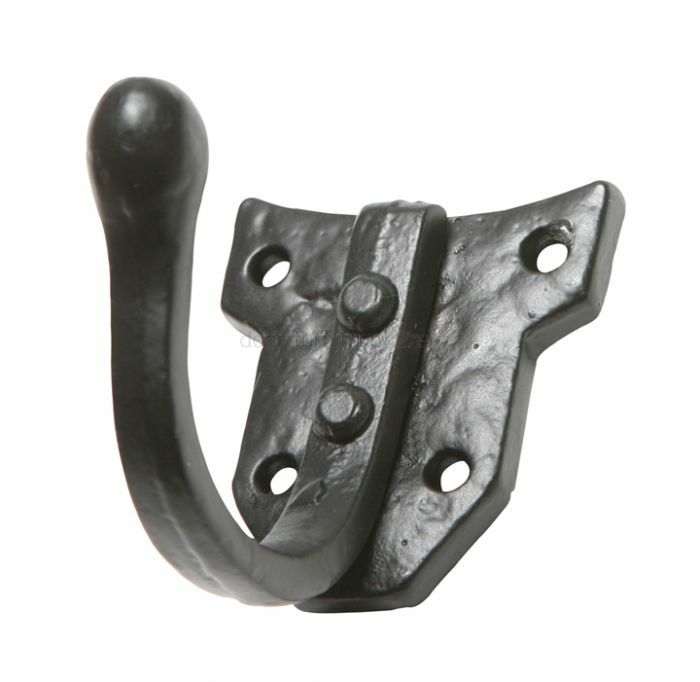 Black antique iron single coat hook on a shield design fixing plate with four holes. Approximate dimensions: Backplate 60x59mm, projection 80mm. Supplied complete with fixing screws.